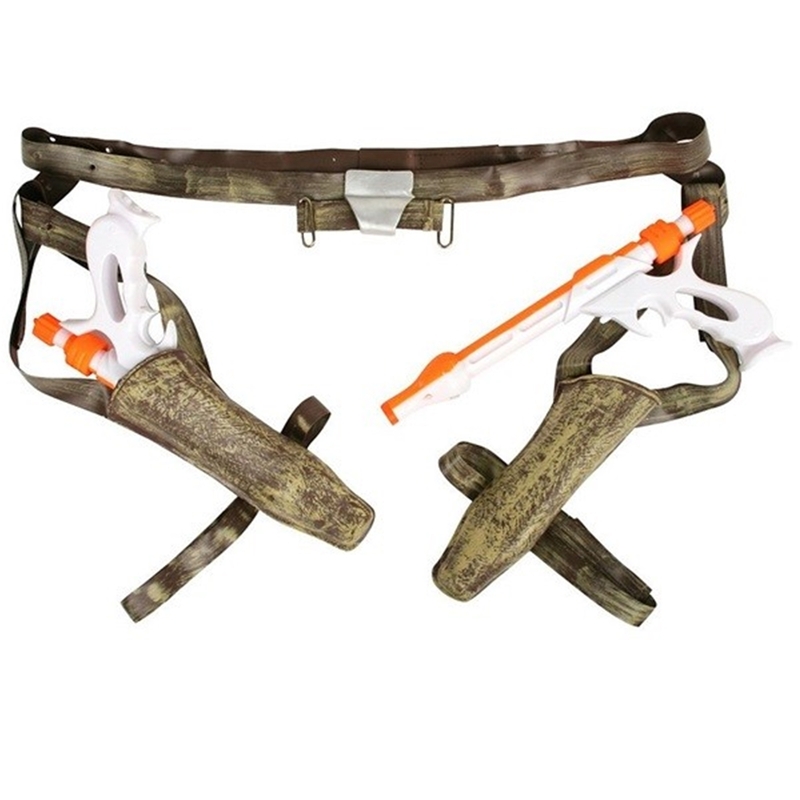 No bounty hunter should leave the house without their handy Star Wars Jango Fett blasters & Holster Set, especially if that bounty hunter is Jango Fett. The belt with holsters are designed to look as though they have a worn-out look to them. After all, this isn't your first contract. The blasters look just like the ones that Jango used in "Attack of the clones," minus the bright orange and white color--meant for the safety of the person wielding them.